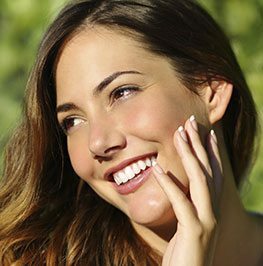 A smile makeover can correct smile imperfections to give you a fabulous, new look. Dr. Hong or Dr. Lam may suggest cosmetic bonding, teeth whitening, porcelain veneers, and esthetic restorations to revive your smile and enhance your appearance. The smile makeover process begins with a consultation so that you can discuss your objectives with your dentist and decide what kind of smile suits your needs. Patients often bring examples of smiles they like to this visit. Once we understand your preferences, the doctor will design a sensational new smile, tailored to your facial features and personality. We'll review your options for treatment and help you determine the best solution to deliver desired results. We would love the opportunity to make you smile. Call to schedule your smile makeover consultation with Dr. Hong or Dr. Lam. Our Westmont office serves patients from Downer’s Grove, Hinsdale, Oak Brook, and the surrounding areas.